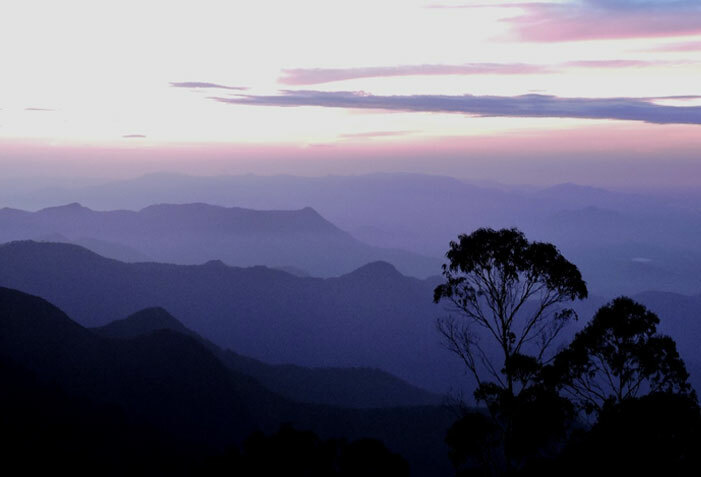 Home/Blog/8 unexplored South India destinations that should be added to your bucket list right now! Incredible India! These two words stand true because India has so much to offer to its visitors.Although you must be aware of what makes the country incredible, India still has its best secrets hidden. Among many South India tour operators, we,at Travel Bug India bring to you the unexplored and untouched regions of South India. These places awaits all travellers that are planning an offbeat getaway. From the silent serene corners of the Western Ghats to the dreamy Malabar beaches, there is much more to it than what meets the eye. Check out these destinations that we as South India tour operators have put together for your ideal holiday. Sitting on the eastern coast of the Western Ghats, Vattakanal is a chosen place by manySouth India tour operators for its breath-taking beauty. This small village is better known as Little Israel. This is because a great number of Israeli tourists happen to flock this relatively underexplored little hamlet and also own permanent cottages here. This untouched haven that has luckily escaped commercialisation can be your dream holiday destination in South India. Another gem that South India tour operators have found lies on 40 km. south of Coimbatore. The mystic village of Pollachi is as picturesque as it could get and awaits you with all the warmth of untouched India. With thrilling adventure activities, a great climate throughout the year and refreshing breeze from the Palghat gaps makes Pollachi a traveller’s haven. The location that is next on South India tour operators offbeat places list is the Badami Caves. Set in the Bagalkot District of north Karnataka, this town in the 6th century was the capital city of the Chalukya dynasty.A visit to Badami caves can surely teleport you back in time. ‘Place of the singing waves’ is what Tharangambadi means. And this sunny beachside town certainly lives up to its name. The Fort Dansborg still stands tall as a substantiation of the Danish colonial history of this town. Tharangambadi or Tranquebar can thus be your ideal getaway destination in South India for an unusual and tranquil experience. Collecting colourful seashells, building sand castles, racing crabs in the sands and wading into the sea, this is just a gist of what you can do at the beach in Devbagh. For adventure junkies, snorkelling, banana boat ride, kayaking, water scooters and all such thrilling beachside activities awaits you at Devbagh Island. This beach near Karwar has an eccentric character to it that adds to its placid beauty. The view from the majestic 80 feet Athirapilly waterfall is indeed a sublime sight for a traveller. Set amidst the Sholayar Forest Range, this is paradise for people who in search of the calm environs. The gushing Chalakudy River is intimidating and you can opt for plain lazing in the dimness on a hammock watching the shimmering water. Very few South India tour operators have tapped this destination. Close to Odisha State Border, Araku Valley is a hidden vacation spot on the Eastern Ghats. For the enthusiasts of nature and wildlife, this is the place to be. Sitting in the lap of magnificent mountains of Raktakonda, Galikonda and Chitamogondi, the valley has a good connect by both, road and railway, which makes it a perfect destination for your bucket list. Commonly known as ‘Paris of Malabar’, an evening spent on the coast of this small town would tell you why it is called so. A city of cakes, cricket and circus, there are innumerable tourist spots in Teliicherry, even though it is hardly explored. Make sure to drive on the Muzhappilangad Beach, India’s longest drive-in-beach ever. Buckle up your shoes, because your bucket list is absolutely ready! The only question is which location will be the first you explore?